Both of these apps will help your kids master addition, subtraction, multiplication and division. They do not teach but provide fun rigorous practice for elementary school kids. 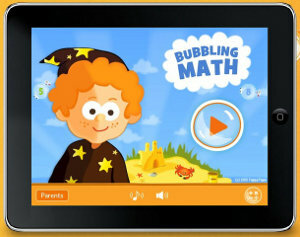 Bubbling Math for iPad and Mac by Tappy Taps. This type of graphics will probably be most attractive to the girls (age 5-9) . The interface is very intuitive for novel as well as experienced players. Parents or kids can select level of complexity for each kind of the operation. Parents can review the day-to-day progress and wrong answers. As child progresses new lands and places are unlocked. I wish there would be more to the story that would push your child keep going or alter the plot based on the child's responses. Still, it is a great beautiful alternative to simple math sheets. iPad app is $1.99, Mac version is $3.99 but now if FREE. Operation Math Pocket by Spinlight. Terrific comics-style graphics for older kids (9-12), especially boys. Kids need to be comfortable with reading and comprehension to understand the overall plot. I wish there would be a woman agent to attract girls as well. 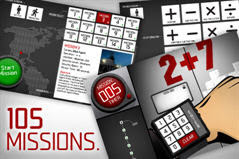 As you solve +,-,*,/ exercises you unlock some spy gear and accomplish spy missions all around the world. Nice, fast-paced, engaging. As with the Bubble Math app, it could be great to get to the next level of interactivity where the story is feasibly affected by child's responses. However for the price of $2.99 on iPad and $1.99 for iPhone/iPod (during the limited offer-launch sale) this beauty is a bargain. Great blog. You might interested in an app on Android I put together for my two boys - its called "Maths Bug". Covers basic maths up to fractions, shapes and algebra. Various game modes, from simple tests up to time challenges and 3 lives. To help parents see how their children doing the app tracks all plays and can provide stats and graphs - so you can see where you need to focus. 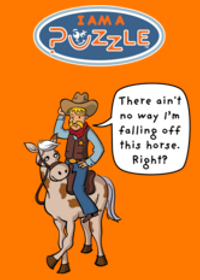 Also includes hints, tips and mental maths tricks.. plus its free! Plus give it a try and give me feedback at the email address included - as always with writing apps like this - feedback is critical. Thank you.